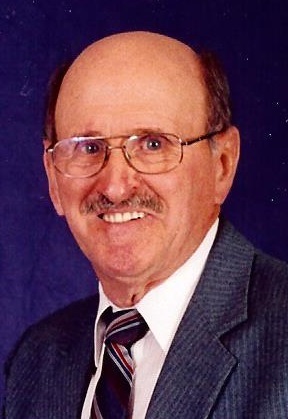 Paul Clarence Sieber of Mahomet, IL passed away peacefully in his home at The Glenwood on February 22, 2019. Paul was born on April 20, 1921 in Juniata County, Pennsylvania, a son of Boyd and Katie (Wert) Sieber. On April 24, 1943, he married the love of his life, Martha Meck, a classmate at Dakota High School, who also attended the same church youth group. They were blessed with 70 years of marriage before she passed away in late 2013. He is survived by his children, Gerald Sieber (Yvonne) of Hesston, KS, Delmar Sieber (Sandy) of Champaign, IL, Marlin Sieber (Peggy), of Mansfield, IL, Norma Symns (Thomas) of Longmont, CO and Nancy Seaman (Dennis) of Champaign, IL; twelve grandchildren and 20 great grandchildren. He was preceded in death by his mother and father, two brothers, Floyd Sieber of Argentina and Sam Sieber of Freeport, IL, 2 sisters, Grace Leu of West Unity, OH and Mary Yoder of Mechanicsville, VA and one great grandchild, Rayce Mowry of Clinton, IL. Shortly after his birth, the family moved to Freeport, IL, where Paul grew up on a farm, learning the value of hard-work from his father. As a young married man, he provided for his family working as a hired man, hauling milk and farming. In June 1948, Paul and Martha moved to West Liberty, OH, where Paul accepted the role of superintendent of a childrens home. Despite being what he thought was a temporary position, Paul remained in that role until August 1953. Then they moved to Goshen, IN, so Paul could attend seminary. While attending seminary, he worked full time as a construction worker. August of 1958 found them on the move again, this time back to their home community of Freeport, where Paul was instrumental in starting the Pleasant View Church. Once again, he worked full time as a dairy farmer to support his growing family. Always willing to take on new challenges, July 1965 found the family moving to Arthur, IL, where Paul accepted the pastorate of Arthur Mennonite Church and worked as a part time mail carrier to help pay for his children’s college expenses. In December of 1977 he became pastor of Ann Street Mennonite Church in the inner city of Peoria, IL. As part of his service to the church, Paul served as president of the Illinois Mennonite Conference approximately 10 years. He also served as interim pastor at Metamora, Roanoke, and Freeport Mennonite churches. In 1985 Paul retired from full-time pastoring and settled in Bondville, IL where he and Martha purchased their first and only home. This home was a place where Paul’s children, grandchildren and friends would gather for softball games, wiener roasts, tractor rides and special meals prepared by wife, Martha. Paul never knew a stranger, always starting a friendly conversation with those he came in contact and sharing his enthusiasm for life and his faith. Paul would never let a conversation end without making sure everyone was aware of God’s love and grace. In the last months of his life, everyone who came into his home at the Glenwood, whether it be cleaning person, meal deliverer, or nurse, they walked out assured that God loved them. Paul’s family greatly appreciates the loving care he received from the staff at Glenwood Assisted Living in Mahomet, IL and Carle Hospice.